HÀ NỘI — Nguyễn Bích Ngọc, a junior high school student in Hà Nội, started to use a smartphone when she was a 6th grader. Seeing most of her classmates use Facebook, Ngọc (not her real name, to protect her privacy) managed to set up an account for herself. Facebook regulates that people can set up an account only when they are over 13 years old, but Ngọc simply lied and said she was older than she was, because “no one inspected it”, she said. Being free to make friends with everybody around the world, Ngọc was happy when her friend list reached thousands of people. “I did not know most of the people on my friend list in real life,” she said. Ngọc has shared a lot of her information on her Facebook, although she does not know the identities of her friends, nor where they are. “For a time, I used to neglect my studying because I spent so much time taking photographs, posting them up, counting likes and answering comments,” she said. Ngọc and other classmates were harmed by “friends” on the social network. “If we did not accept an invitation to go out from friends on Facebook, we received threats and other bad words, so we felt threatened and frightened,” said Ngọc. Nowadays, the social network not only supplies information and provides a source of leisure for many people but also helps them open social relationships and make friends. Việt Nam is one of the countries with the highest number of people using the internet in the Asia-Pacific region, according to Đặng Hoa Nam, director of the Department of Child Affairs under the Ministry of Labour, Invalids and Social Affairs. By June last year, a total of 64 million people across the country were using the internet, making up 67.1 per cent of the total population, according to the department’s statistics. The country has 64 million Facebook accounts. More than one-third of them belong to youth aged between 15 and 24. The numbers were announced at the conference “Building national network for child online safety” held in Hà Nội on Thursday. The conference was held by the Department of Child Affairs, ChildFund Việt Nam, the Research Centre for Management and Sustainable Development (MSD) and the Vietnet Information Technology and Communication Centre (Vietnet-ICT) with financial support from Microsoft Vietnam. A recent study from the UK showed that one in every four children experienced sadness after using the social network, whereas one in every three children was the victim of bullying on the internet. All over the world, more than 720,000 images depicting child abuse are posted on the internet each day. Psychological experts at the conference agreed that children are easily abused on the internet because they access technology at an early age but do not understand the risks of using it. About 68 per cent of the children learn to use the internet by themselves. Only 11 per cent of them learn at schools, but teachers only teach them how to use the internet, not how to use it safely. On the other hand, parents often do not supervise children’s actions on the internet. 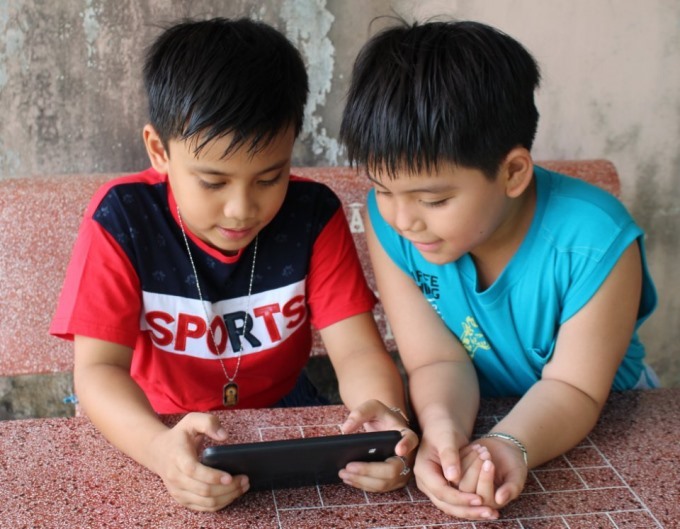 Nguyễn Phương Linh, director of the MSD, said that most parents did not give guidance to their children when they used smartphones, iPads or the Internet every day. As a result, many children were threatened and abused on the internet. “Vietnamese children’s skills on resolving problems on the internet were not good,” she said. “We call the internet a ‘virtual world’, but in fact, it’s not virtual. The risks it brings are real, and the harm to the children’s physical and psychology is real,” said Linh. Linh expressed her hope that the children and their families would receive training on skills related to the digital world so that all people can adapt to the information technology era. To protect the children, director Nam said that people should not ban them from the internet, as spending time using it responsibly is necessary to develop good habits. “Family, school and society should let the children join digital life actively under the protection and supervision of the adults,” he said. So what should people do to make the digital world and the internet safe and rewarding places for children? Director Nam believes that firstly, parents should equip themselves and their children with the necessary knowledge and skills for internet use. “On the other hand, parents should act as friends to listen to children’s problems while using the internet,” he said. To help protect the children, organisations and service suppliers should reject bad images, information and documents from the internet before the children can access them, said Nam. Michael Gray, Việt Nam Programme Manager of the SecDev Foundation from Canada, said that the children protection network includes the participation of state agencies, social organisations and enterprises in Việt Nam.